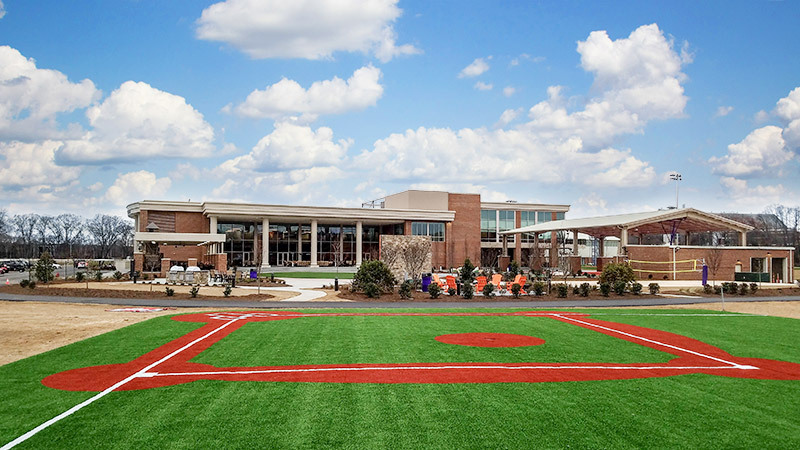 The Clemson Football program recently completed a 140,000 square foot athletic complex and recreational facility designed to both attract top recruits and build a better team culture with current players. 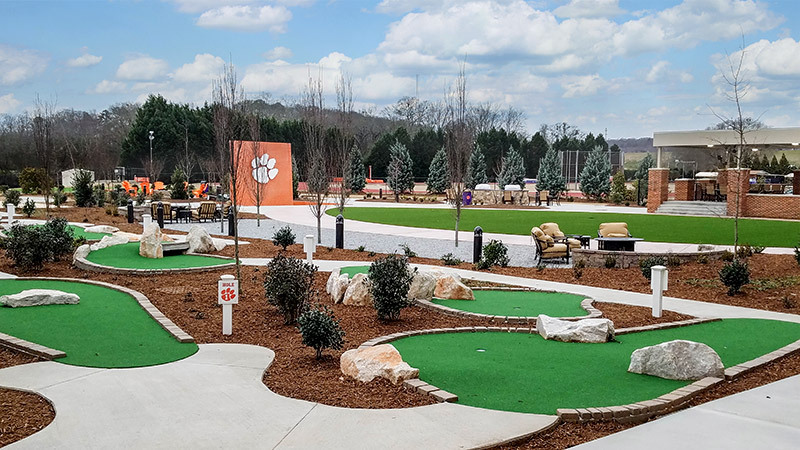 The Recreational Group was approached by Clemson to help design and integrate a variety of unique amenities for their outdoor facility known as "Players' Village." 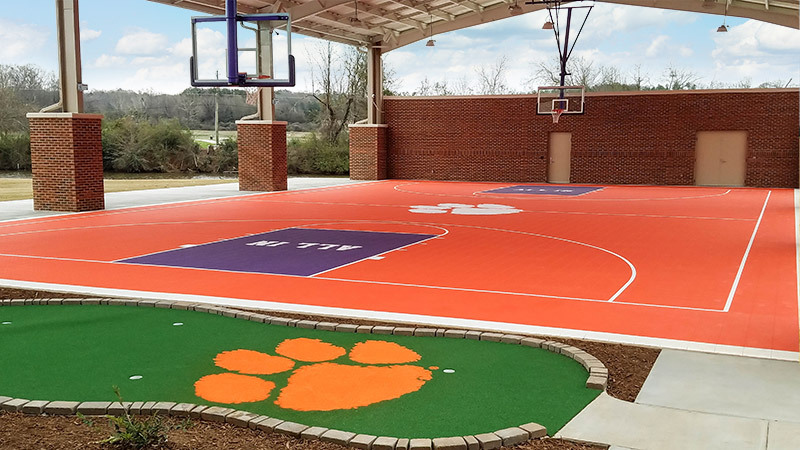 Initially conceived as a concrete playing surface, our team specified, designed and constructed a full-size VersaCourt basketball court featuring Clemson's colors, as well as its slogan and overarching philosophy, "All-in" in each lane. 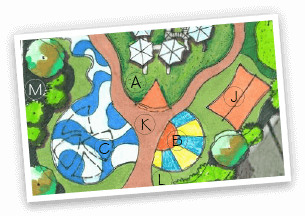 Our team designed and integrated a 9-hole miniature golf course using Tour Greens synthetic putting turf and traditional hardscape design, for a fun, competitive activity. 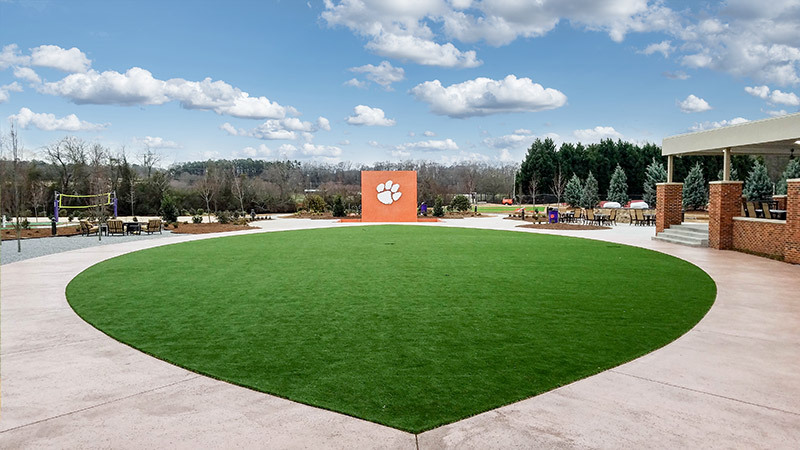 Using the concept and initial designs of Clemson's staff, we installed a Wiffle Ball field using XGrass performx synthetic turf. XGrass performx turf provides a beautiful, natural-looking playing surface, with the added benefit of withstanding heavy traffic and inclement weather conditions. For the main courtyard in Players' Village, our team installed a custom, football-shaped artificial lawn using more XGrass synthetic turf. 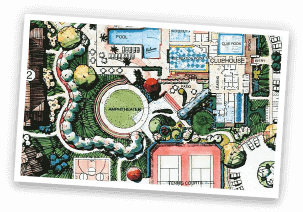 The turf is exceptionally easy to manage and provides a soft, comfortable surface for players to relax and hang out.